Dingbats - Between the lines is a game where you have to solve puzzles. Play Dingbats - Between the lines and train your brain by solving the puzzles. And if you have some difficulties, you can ask for clues or help from your friends to solve those wacky wordies. Mr & Mrs have children. Can you guess the name of their offspring ? Try to find the right first names and create funny full names. New puzzles are regularly added to the game. If you have an idea in mind and would like it to be featured in a next release of the app, you can also send it. Love this game! I’ve been doing these kinds of visual play-on-word puzzles for decades, and yet I still find these puzzles to be fresh, original, creative, and fun. I’ve never seen most of these before (that’s saying something), but they’re right on target. It’s also nice to pick the game up for a minute and be able to put it down without losing any progress. And I love its relaxed, untimed play (a pleasant escape on a stressful day). The app runs seamlessly and glitch-free on both my iPad mini 4 and my iPhone 8. 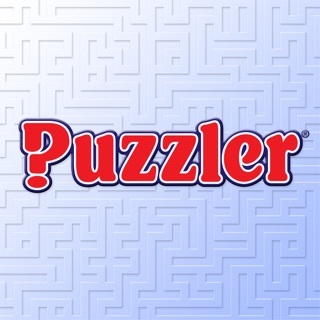 Thanks for a terrific puzzler that forces me to think outside the box! This is a great game, and one that makes you think outside the box. It is challenging and clever, while also fun. This game is both challenging and captivating, I have been looking for a game like this for awhile and glad I found it!